Aura Color Meanings - What Do The Colors of an Aura Say? What do aura colors mean? All humans are vibrating energy fields constantly pulsating life force. This energy that emanates from your body can be seen in colors, hence the word “aura colors”. Depending on your physical and mental state of being, the aura will change colors. Let’s take a closer look at the different aura colors and their meanings! The aura colors generally reflect the colors of the rainbow – red, orange, yellow, green, blue, indigo and violet, which are also the colors of the seven chakras. However there are many other color shades and tones that can be detected in the aura, which may change accordingly to a persons physical, mental and emotional state. An aura color guide or chart allows for easy interpretation of the aura colors, but for a more in depth evaluation it is advisable to seek advice from an aura color-reading expert. The following aura color guide will help you to interpret the colors of your aura. Red – This color have the slowest vibrational frequency and does often relate to the physical body. It is also the the color of passion, fiery emotions, anger and determination. Too much red in the aura can indicate a person that is stubborn or slow to change. It can be both positive and negative. Deep Red – This is the color of the base chakra symbolizes being grounded, balanced and down to earth. Orange – An orange aura color signifies power, vitality, health, strength and creativity. Murky or dull orange can suggest ill health, stress, or emotional imbalances. Orange Red – Signifies an individual with confidence, strong will power, energy and creativity. Yellow – A yellow aura generally suggests a bright, cheerful and positive person. However, depending on the shade of yellow other meanings can come to light, for example pale yellow points to psychic abilities while bright yellow can signify power issues. Dull yellow aura color can signal a person that is over analytical and stressed. Green – Representing the color of nature is the green color, which indicates change, growth and balance. A green aura points to a social person that loves being in nature and easily adapts to change. However a dull or murky green aura color implies low self-esteem, insecurity and a lack of responsibility. Emerald Green – If you emanate an emerald green color in the aura, it reveals a loving individual with natural healing powers. Yellow Green or Lime Green – This shade of green denotes an outgoing, sociable personality and creativity. Royal Blue – This shade of blue illustrates a spiritual, generous and kind person. It can also indicate clairvoyance. Indigo – If indigo is present as one of the colors of an aura, it implies a sensitive person who is spiritual in nature. The color resonates with intuitive gifts. Violet/Purple – A wise, intuitive person that is idealistic, visionary and in touch with their psychic powers. 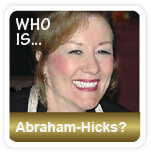 They vibrate on a high frequency and very much in touch with their inner being. Turquoise – This aura color alludes to an honest communicator, someone that is open, caring and trustworthy. Pink – If pink is present as one of the aura colors, it points to a loving, sensitive and creative person. However too much pink can indicate that the person is needy and overly sensitive. Pastels – Lighter shades of colors can indicate sensitivity, compassion and a need for peace and time for oneself. Gold – Gold highlights enlightenment, inner wisdom, spirituality and divine power. Also seen as a protective energy within the aura. White – White in the aura signifies purity, protection and clarity of mind. It is a spiritual color and is also associated with awakening and connection to the divine. White points of light or flashes seen around a person can be a sign of their guardian angel beside them. Black – Black denotes grief, holding resentment or unforgiveness. It can also represent illness depending on the location within the aura. Grey – Dull or dark grey can point to blockages, fears and insecurities. It can also be an indication of silver in the aura, which can be seen by some clairvoyantly as a light grey. Brown – Earth tones in the aura indicate a connection to the earth and are often seen in those working outdoors such as farmers or gardeners. What is the definition of “Aura Colors”? 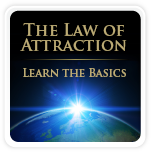 The aura or energy field, is the body of energy that lies in and around the physical body. An aura color definition of the human body could be “the energy from a person, formed by subtle color radiances surrounding the physical body”. These color vibrations can be perceived or “seen” clearly by clairvoyant psychics. Can the colors of an aura change? Yes! It is important to remember that while a person can exhibit certain aura colors at the time of a reading, the colors present later that day or on another day can vary significantly. Like water, the energy field is constantly flowing and changing, as are the aura colors. The description of the aura colors is meant as a guideline and while they can provide great insight, an individual must also use their own intuition to interpret the aura colors and their meanings. 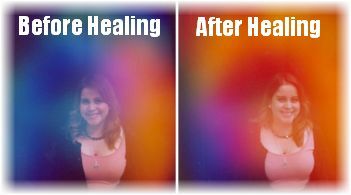 Furthermore, the aura colors can also change after a healing session, see picture. Can anyone see the aura colors? 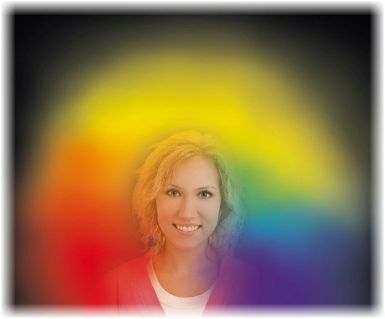 Most people can not see the colors of the aura, but there are many that have developed clairvoyance (clear seeing) that enables them to see energy vibrations through the third eye that are not normally visible through normal sight. How does aura color photography work? For people who can’t see the different aura colors, there is another method of portraying the energy field around individuals – by photographing the aura colors. 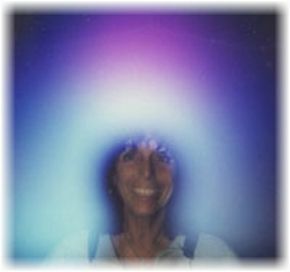 The most famous aura photography method is called the “Kirlian Photography”. Aura color photography enables the energy field to be “seen” by sensing the electrical currents detected in the fingertips to depict the life force energy surrounding the body. The resulting aura image reflects the physical and emotional state of the person. 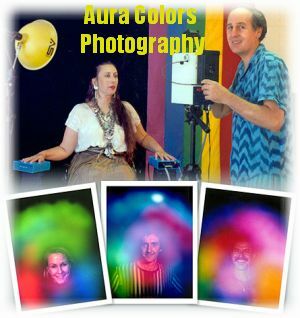 Through this method of aura photography, colors of auras can be seen and read by an expert who usually offers feedback and advice on the state of the energy field. However, it’s important to note that the aura colors are constantly changing depending on a person’s mood. In general there is one overriding color that is more predominant than others, but an array of colors can also be seen depending on the individual. What do the colors of an aura mean if several colors are present? To answer this question, it is important to understand that there are many different shades within a color family, and the interpretation depends on the exact color tone. Interpreting aura colors may not be that easy when several colors are present as the combination can mean different things. You can always seek expert advice and contact an aura color reader. Where can I learn more about what aura colors mean? A good tip to learn more about aura colors and what they mean, is to get yourself a good book that covers that topic. There are quite a few books out there and they do not cost much. Search for them here.